Few who are native of Delhi are aware of Khooni Darwaza and its bloody history, located in a busy street of metropolitan city, Delhi. It is remembered for gore and violence. 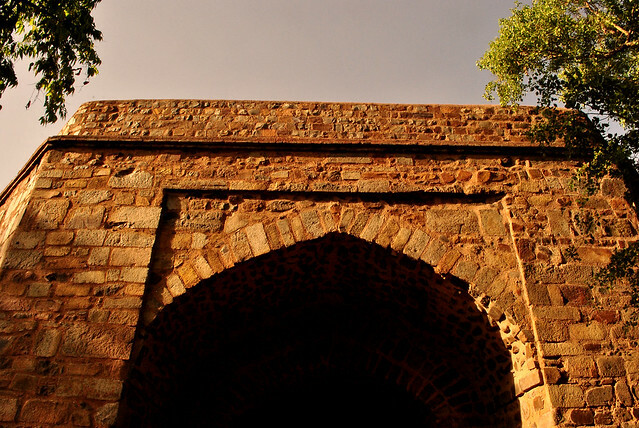 Constructed under the rule of Sher Shah Suri during the reign of the Mughal Empire. It’s architecture of delightful yet darkest era. It is believed that earlier it was known as ‘Laal Darwaza’ but due to its dreadful stories it came to be known as ‘Khooni Darwaza’. During Akbar’s ruling, Rahim khan was assigned as one of his Navratnas. He helped him and hence was a respected figure. Therefore it was said he could have been the successor. Thus, Jahangir became furious, which intensified when Rahim supported Jahangir’s son to claim throne. But still Jahangir became emperor and so as to prove himself he had both his sons executed at Khooni Darwaza. Bodies kept hanging over there. During the first war of Indian Independence in 1857, due to lack of experience and indiscipline Indian soldiers were defeated by the British. Emperor Bahadur Shah Zafar and his family surrendered. Captain Hodson was transferring them when large group of people gathered around him. In fear he stripped his sons and grandson and killed them. He then left them rot for days in sun. Darwaza also saw mayhem during India-Pakistan partition in 1947. Many unfortunate communal battles led to death of hundreds of refugees who were hacked to death by rioters at Khooni Darwaza.